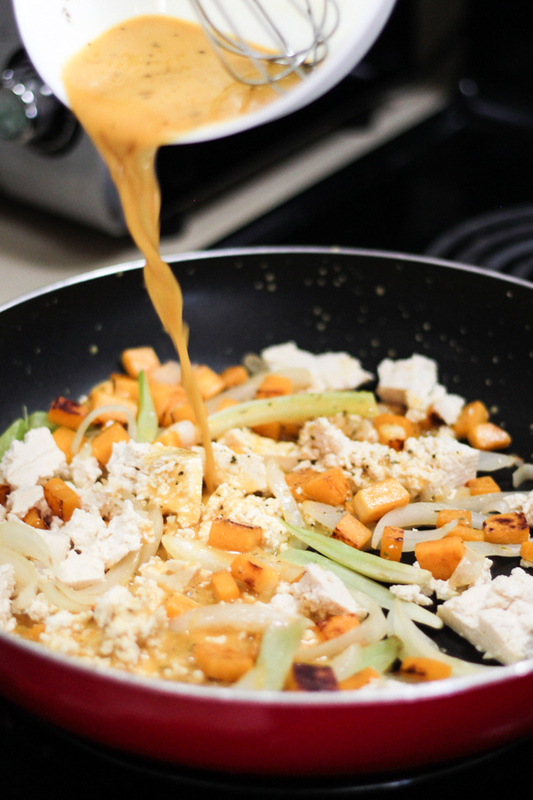 Tofu scramble is something that we probably eat every weekend. 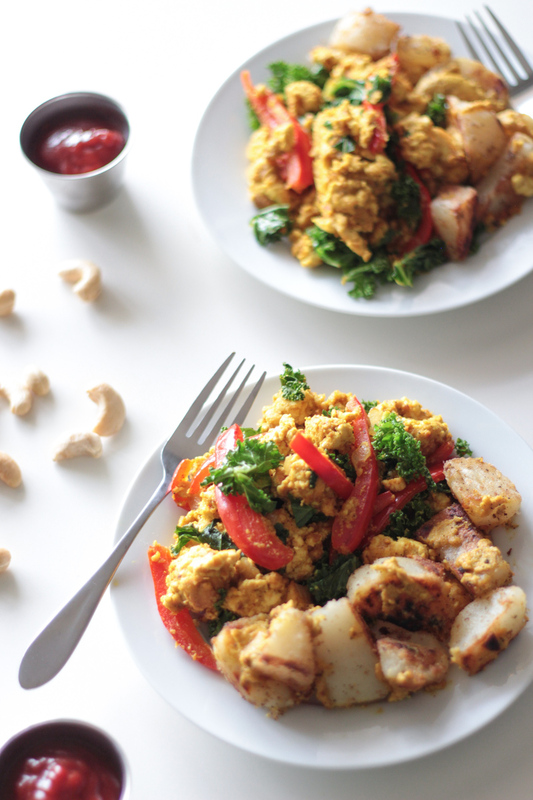 We really really really LOVE tofu scramble. 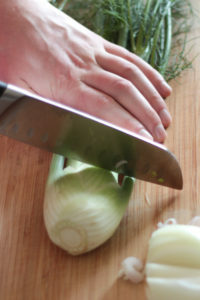 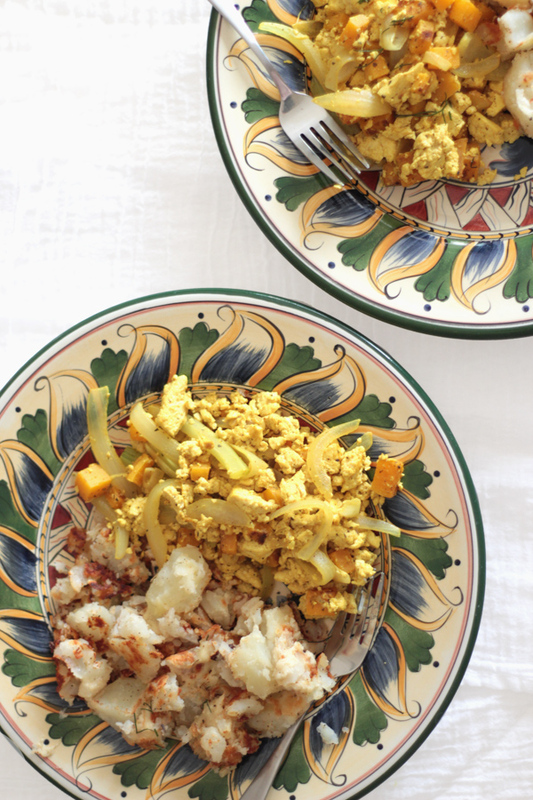 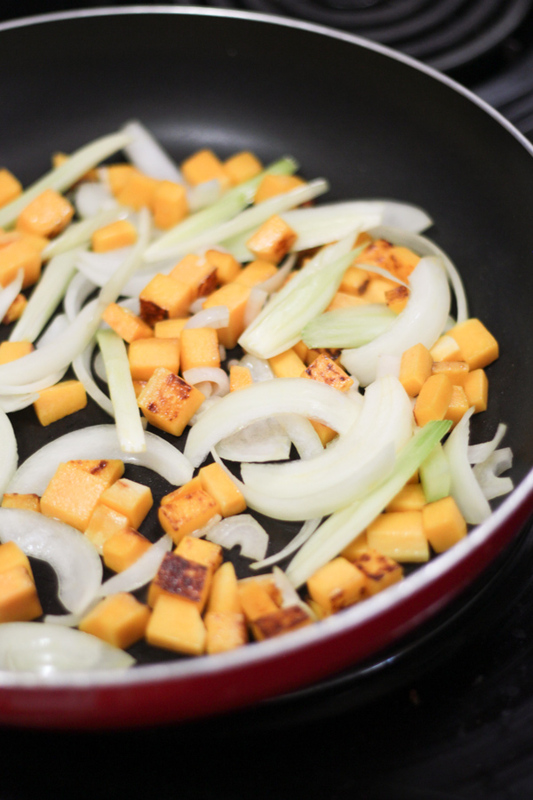 And this recipe isn’t your standard “throw the tofu into the pan with some curry powder” kind of scramble, no sir, this is so delicious and unique that after trying it, you’ll never want to make it any other way – trust.